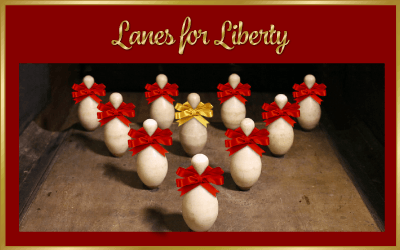 Roll on over, There’s no time to Spare, We’re bowling for Liberty and we want you there! Heavy appetizers (pizza, nachos, snacks) and dessert will be provided, there is a full menu available. There will be prizes to be won. 9:00pm – 9:30pm: Give out Prizes.